In the build-up to the 2014 World Cup in Brazil there was a feverish excitement bubbling around Marc Wilmots’ Belgium squad, with many making a bold prediction that they would reach the latter stages of a tournament that had seen them impress only once; with a fourth-placed finish at Mexico 86. In the end, Belgium were eliminated in the quarter-final by Argentina after a series of satisfying, if not spectacular performances. The overwhelming feeling was that this Belgium were not quite there yet, but their time is certainly on the horizon. 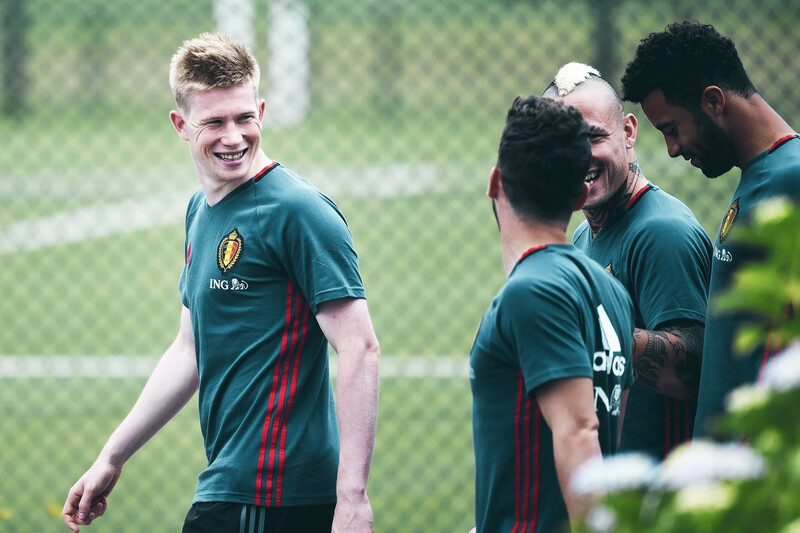 Anderlecht, the champions of the Belgian Pro League, have been partially responsible for ushering in this so-called ‘Golden Generation’ for the Les Diables Rouges. Anderlecht is a club with young blood flowing through its veins. The most decorated sporting institution in Belgium is a praiseworthy enterprise which remains wholly dedicated to the production of talented footballers. Anderlecht’s laudable and remarkably fecund academy structure has garnered widespread acclaim throughout the European footballing community, with their model for youth development being studied and replicated. The club has a clear vision for its academy: to produce players that will be capable of top-flight and Champions League football by the ages of 18-21. Their slogan of “Turn your passion into your profession” is one that underlines the dedication and discipline espoused by the club. Herman van Holsbeeck, Anderlecht’s General Manager, said in their academy manifesto that it was the club’s responsibility to maintain their excellent reputation and act as a “relay station” between domestic clubs and international giants. With Romelu Lukaku, Adnan Januzaj and Vincent Kompany among the academy’s illustrious alumni, it’s fair to say they are succeeding in that mission. As with all of the most successful football academies, Anderlecht train their footballers from a very young age. Prospective players are initiated into the under-11 to under-14 system, where the ethos of Anderlecht as a football club is ingrained into their minds from the beginning. A key component of Anderlecht’s philosophy is to create technically proficient footballers, fluid attackers with a natural instinct to press in the half of the opponent. They are drilled in a 3-4-3 system that emphasises high-tempo attacking football. The Anderlecht way is formed on speed of thought and quality of execution, with players expected to have the confidence and craft to build attacks with triangular passing, from the defence if necessary. Adaptability is an essential ingredient in the Anderlecht academy, with the students expected to slot comfortably into a 4-3-3 as they reach the under-15 to under-19 stage. Naturally, as their bodies start to strengthen and acclimatise themselves to physical training, the training becomes more rigorous and focused. From U11-U19, there are four 90-minute training sessions a week, with one competitive match on top of that. When the players reach the elite category of under-21 – where they are really primed for excellence – the sessions are still 90 minutes, but completed on a daily basis. There are structured exercise routines for endurance and strength at the beginning of the week but, as match day draws closer, the emphasis is shifted to a more tactical and technical schedule. The Anderlecht players are expected to show signs of development and improvement during matches and contribute to the analysis of games and evaluation of performances in post-match training sessions. Footballers are expected to be learned, intuitive and dedicated to improving. At Anderlecht, it is not merely about talent; it is about ambition and application. 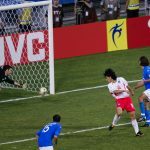 That is underlined in the club’s stance on winning and losing: the manner of playing exceeds the importance of the result. For the Belgians, effort is imperative, winning is a bonus. That is not to say, however, that Anderlecht is a club content with second-place. As the dominant force, historically and currently, in Belgian football, academy players are inculcated with a winning mentality, a mental edge that will ultimately help in the maintenance of Anderlecht as champions. The landscape of Belgian has been dominated by Anderlecht in recent years, crowned champions in four of the last five seasons. Last season, Anderlecht were noted during their Champions League campaign for having a strikingly young first-team. Along with Ajax – who know a thing or two about forming a productive youth academy themselves – Anderlecht had the youngest average age, making their participation at the highest level of European football more impressive than most. Indeed, Anderlecht proved this season that they were worthy opponents of Europe’s top clubs when they were drawn against Arsenal, Borussia Dortmund and Galatasaray in Group D. When they visited the Emirates Stadium in November, Besnik Hasi’s men garnered plaudits for their refreshingly energetic style and threat on the counter-attack. One of the academy’s top graduates, Dennis Praet, starred in the thrilling 3-3 draw, whilst the 20-year-old Aleksandar Mitrović – now at Newcastle – scored the Belgian’s third, completing a comeback from 3-0 down. Youri Tielemans, who in October 2013 became the youngest ever player in the Champions League at the age of 16 years, 4 months and 25 days, also featured prominently in the bold and daring display from Anderlecht, confirming his status as one of the brightest prospects in world football. Tielemans has been at Anderlecht his entire career and has risen through the ranks impressively to become a pivotal player in Hasi’s first-team at the age of just 19. The midfielder has shown maturity well beyond his years and his influence at the heart of Anderlecht’s midfield continues to grow week by week, as does his stock. “Tielemans is a phenomenon. There are not many players better than him,” says Pär Zetterberg, former Anderlecht playmaker. 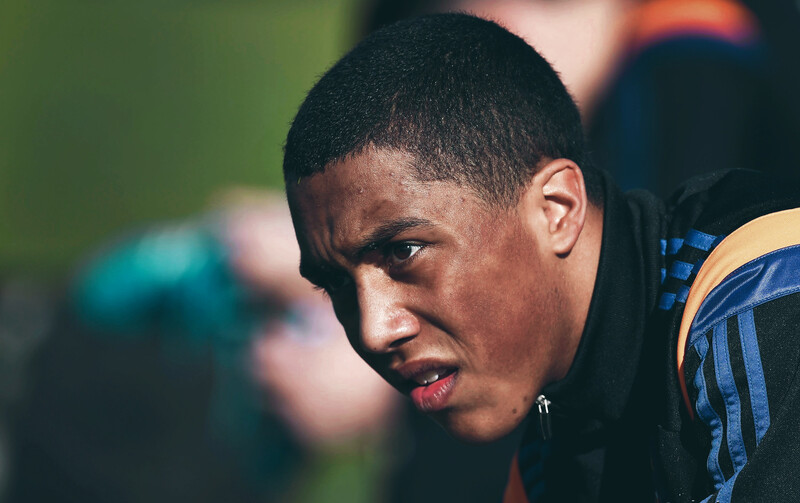 Tielemans exemplifies the Anderlecht academy way as well as anyone. His education began before he was a teenager and, through years of coaching and a commitment to self-improvement, he already exudes a confidence that resembles the natural leadership of his compatriot and fellow Anderlecht graduate Vincent Kompany. Tielemans had already broken into the Anderlecht first-team last season but, following the sale of Cheikhou Kouyate to West Ham in 2014, he has embraced the heightened defensive role bestowed on him. Tielemans has shouldered these expectations with class, as he is committed to helping Anderlecht succeed in whatever way possible. It is no surprise to read that Chelsea scouts have been monitoring his progress this season. His exaltation to one of Europe’s footballing heavyweights certainly seems a matter of when, not if. When Arsenal visited the Constant Vanden Stock Stadion in September 2014, they were outthought and overrun by an exuberant Anderlecht squad with an average of 22. Learning from a bruising 3-0 defeat to Borussia Dortmund, Hasi deployed Praet as an additional central midfielder and his industry helped the Belgians dominate for most of the match against a vastly more experienced Gunners outfit. Ultimately, they portrayed their inexperience at such a level by letting Arsenal escape with a scarcely deserved 2-1 victory thanks to two late goals but their performance was still hailed and the marks of a fertile academy could be easily seen. Praet impressed so much against Arsenal that, in the weeks following the 3-3 draw, the transfer columns inevitably dedicated inches to the possibility of the starlet moving to north London. The 22-year-old attacking midfielder spent most of his youth days at Genk, but after moving to Anderlecht in 2010, he honed his skills and started to blossom as a player with superstar potential. His agent, Jacques Lichtenstein, commented on reports linking Praet to a move to one of England’s top clubs and said that Arsenal would perhaps be the perfect fit for the protégé. Taking into consideration Praet’s excellent technical abilities and prowess as a creator, the link with Arsenal is viable. Praet represents the pinnacle of what Anderlecht seek to achieve through their youth academy: craft, guile, intelligence. They thrive on producing exciting footballers that raise the hairs on the back of necks and do not shy away when presented with an opportunity to perform on a grander stage. When Praet graced the Emirates Stadium in front of 60,000, he glided across the surface as if he had been playing there for a lifetime. Of course, an academy is constantly likened to a conveyor belt and perhaps generous praise could not be afforded as easily to Anderlecht’s system if they did not have another string of stars laying in wait. The club’s youth ranks continues to flourish in major competitions, with the under-19 squad reaching the semi-final of the UEFA Youth League, narrowly missing out on a place in the final after defeat to Shakhtar Donetsk. Although they didn’t quite make it to the final, Anderlecht were a standout team in the second edition of the competition and their odyssey through a rapidly growing youth competition was an essential experience in their education. Coached by Mohamed Ouahbi – who has held coaching roles in various capacities for over a decade – the Belgians were commended for their energetic and attack-minded performances, most notably seeing off Arsenal 4-3 in the group stages. Ouahbi’s side contains some genuinely exhilarating prospects. Aaron Leya Iseka was a goal-machine throughout the competition and has already made his debut in the senior side, making five appearances since his debut in December 2014. Iseka, who is the younger brother of Chelsea striker Mitchy Batshuayi, exploded in the Youth League last season, accumulating a splendid haul of nine goals. He netted five times in the group stages before striking the winner against holders Barcelona. Iseka wasn’t done there, though. He then stole the show in the quarter-final with a stunning hat-trick against Porto. 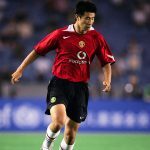 “By the age of 10 he had outclassed all the other players. 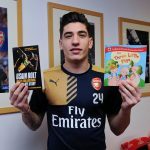 Aaron is a very strong character who makes himself heard in the squad. For years he has been the leader in every dressing room,” Ouahbi said of the striker. ‘Strong,’ ‘leader’ and ‘character.’ They are words that appear in the praise of so many of the academy’s graduates. Anderlecht are not merely committed to producing talented footballers; they have an ambition to train them as leaders, as role models, as icons. This is part of the reason why Anderlecht’s youth academy is so creditable – it is a difficult challenge to train a footballer but it’s a far greater challenge training a man. The emergence of Iseka and his colleague Tielemans as future captains and men who can pioneer the future of Anderlecht accentuates the sterling work carried out by the network of coaches at various age levels. The Anderlecht academy way is not just to prepare youngsters for football, it is also to prepare them for life.